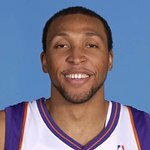 Regarded as one of the most versatile and best all-around players in the NBA, Shawn Marion of the Phoenix Suns is bringing his game to the felt to host the Hearts & Helmets Charity Poker Tournament on January 30. The exclusive event, which will be held at a private venue in Scottsdale, Arizona, hopes to raise more than $1million for various charities, and will include silent and live auctions for such items as Suns/Spurs floor seats, a trip to the World Series of Poker in Las Vegas, a private jet to Napa for the day, a private party on a yacht in San Diego, champagne helicopter tours, celebrity dinners, autographed memorabilia, plasma TVs, tickets to the Super Bowl, and invitations to additional exclusive events. Hearts & Helmets offers poker amateurs and aficionados a chance to hold ‘em or fold ’em alongside A-list sports and entertainment stars, including members of the Phoenix Suns and San Antonio Spurs, as well as Olympic decathlon gold medallist Dan O’Brien, Patrick Warburton (aka David Puddy from Seinfeld) and World Series MVP Jermaine Dye. The $1,000-per-person ticket price will benefit several charities, including Brad Pitt's Global Green USA Project for rebuilding New Orleans; the Cystic Fibrosis Foundation; the Fournier Center for Empowerment; Free Arts of Arizona, ICAN, Junior Achievement, the Bus Stops Here Foundation, the Marine Corps Law Enforcement Foundation, and Suns Nite Hoops. The event will take place 4:30 p.m. to 1:30 a.m. with the location made available upon registration. For more information go to www.allinforacause.com. Laura Linda Bradley Interview - Global Green USA "2013 Millenium Awards"